Want To Buy A Home in NW DC, But Don’t Think You Can Afford It? Buying a Home in DC But Not Sure you can Afford it? DC is an expensive city – an opinion that almost everyone who’s either lived here or visited can agree on. It also has some of the most expensive real estate in the country. But, unlike a lot of other expensive cities, it’s weathered the real estate downturn in spectacular fashion. According to Kiplinger’s it’s the #1 City, Where Home Prices Have Held Up The Most. Check the NY Times, The Wall St. Journal, Fortune Magazine – all have written about the strength of DC’s housing market. In fact, we have the strongest real estate market in the country. But the Washington DC real estate market is also surprisingly affordable, if you know where to look. 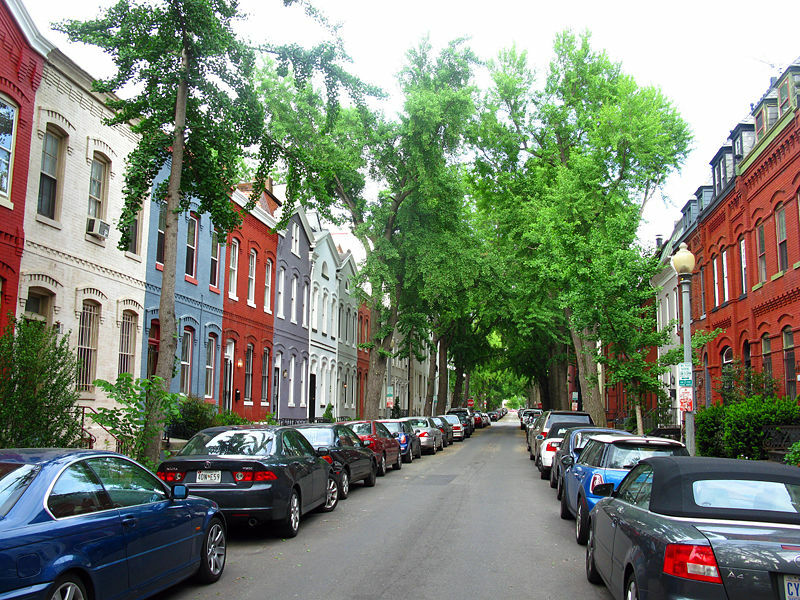 #1) Petworth: a great neighborhood – with its own metro stop, new restaurants moving in, close proximity to downtown --fixer upper’s priced in the high $200s and renovated rowhouses in the mid-high $400s. You can get a lot of house for the money. #2) Brightwood: easy commute to MD & downtown DC, yet feels a world away. Quiet and serene, and very affordable – renovated rowhouses in the high $300s. #3) Columbia Heights: great, funky neighborhood with lots of shopping and restaurants, a metro stop and rowhouses as well as condos. Renovated rowhouses from $450s, condos starting in the $200s. #4) 16th Street Heights: a great neighborhood of large homes with yards, bordered by Rock Creek Park. Easy commute to downtown, yet surburban in feel. Rowhomes in the $400s, single family homes in the $600s and above. #5) Capitol Hill: a great neighborhood, with a metro stop, restaurants, shopping, and Eastern Market, a wonderful weekend farmer’s market and flea market. The typical rowhouse is small, but charming. 2-bedroom rowhouses in the $400s and above. Don’t think these neighborhoods are you for you? More interested in the “in the middle of everything” neighborhoods of Penn Quarter, Dupont Circle or Cleveland Park. Well, I have good news for you too -- even the most expensive neighborhoods have reasonably priced condos and coops. So if you’re looking for maintenance free living and don’t mind paying condo fees, this option may be right for you. I specialize in relocating and first-time homebuyers and would love to help you find the perfect home! Give me a call to get started.